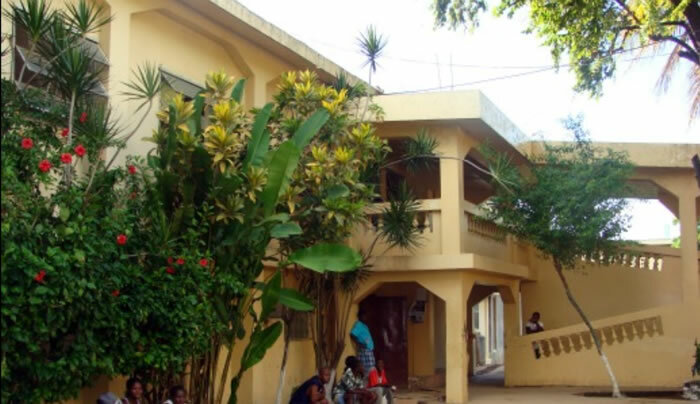 Hospital Bienfaisance de Pignon is a modern 65-bed facility hospital in the Central Plateau of Haiti with a pharmacy, two operating rooms, one top class laboratory, and includes facilities for x-ray, endoscopy and mammogram. Hospital Bienfaisance provides on-going training for medical professionals, and medical technicians and nurses. They host training courses for Laparoscopic Surgery and train to repair bio-medical equipments. It offers free treatment to its patient but expect them to pay as much they can afford for the long term viability of the hospital. The revenues collected from the patients over its last 25 years of service have been increased from 7% to 45%. It is a good measure that indicates the positive effect of economic development in the area. In 2013, the service strength of the hospital included: doctors 14, nurses with aides 13 + 49, lab and X-ray technicians 9 + 4, pharmacy 3, others 147. Their service provided includes: patients attended 29,995, surgeries 432, lab tests 33,576, deliveries 1,386 (141 C- section), X-rays 7020, dental patients 6,442.